It’s an honest admission from a veteran fighter who’s had a very busy 2015. The words came from the lips of 31-year-old Californian Joe Schilling following his second-round TKO win over Jason Wilnis in the main event of GLORY 24 in Denver. 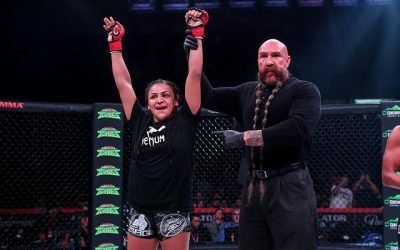 After a June knockout loss in the Bellator MMA cage, Schilling returned to the ring for the first time since February and put on a dominant performance, sans one moment in the second round when Wilnis went on the offensive. Schilling hopes the win helps erase the doubts some had following his summer loss. “I felt pretty good about it,” Schilling said of his win while speaking to Combat Press. “I have to look at the video. I’m not sure what he actually got with me. I know I was off balance, but I don’t know if [it] was the shot that put me off balance. As I regained my balance, I saw the big shots he hit me with coming. “I ate them flush on the chin. There was a lot of speculation and people wanted to say that I don’t have a chin anymore after my last performance. I think that goes out the window tonight. I think whether it’s a TKO or not, I was easily winning that fight and I would’ve won the last round if I didn’t knock him out. 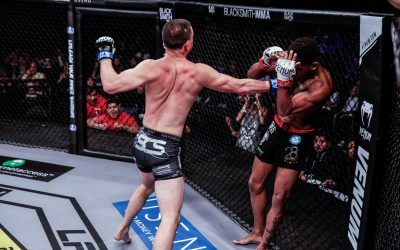 Having competed in combat sports for the better part of decade, Schilling has experienced just about everything that can happen in the ring or a cage. 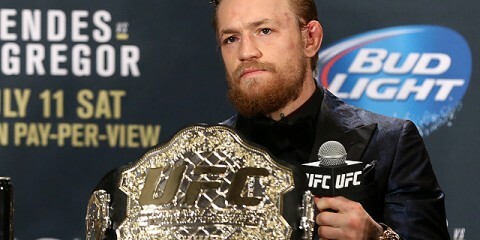 As he balances fighting for two major organizations, his focus is clear, regardless of the results. 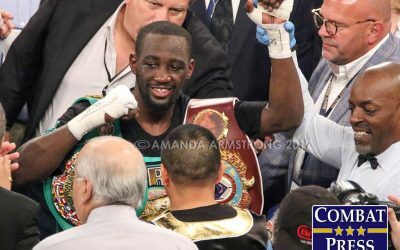 “I’ve been fighting so long and I suffered a knockout loss about four or five years ago, and mentally I’m mature enough to understand that it’s part of the sport, part of the game,” admitted Schilling. “I’ve been on the other end of it most of my career. It was unfortunate, but I feel like when Michael Jordan played baseball and wasn’t a world champion right away, it didn’t change who he was as a basketball player. 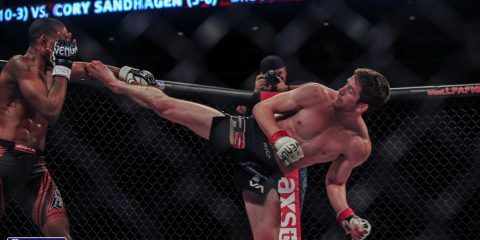 “Overall, I’m proud of the fact that I’m the only world-class kickboxer that is making the transition to MMA at such a high level. 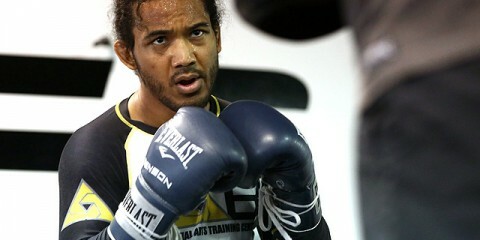 I believe, and I think most people believe, that I won that fight against [Rafael] Carvalho. [Now] he’s fighting for the title, so that shows how close I am to that level. It’s a different sport. You’re trying to get better at your wrestling and your ground game. Sometimes you get hit with shots. 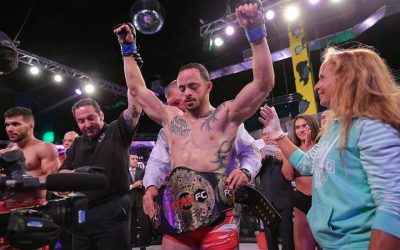 Immediately following his win over Wilnis, Schilling told in-ring interviewer Stephen Quadros that he feels current GLORY middleweight champion Artem Levin is ducking him. The pair were slated for a rubber match in Denver, but the Russian pulled out citing injury. So, with Levin on the shelf, Schilling finds himself as the fighter with a target on his back. 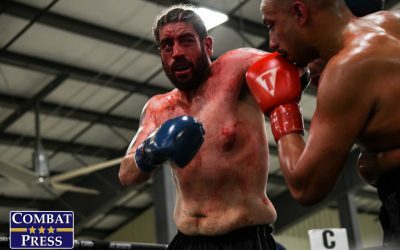 Denver-based middleweight — and GLORY 24 co-main event fighter — Dustin Jacoby was quick to call out Schilling following his knockout win over Wayne Barrett. But Schilling doesn’t believe it’s a fight that makes sense for him. 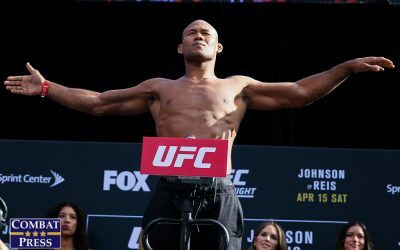 “I think a fight with Dustin Jacoby would be a big step back in competition for me,” declared the fighter. 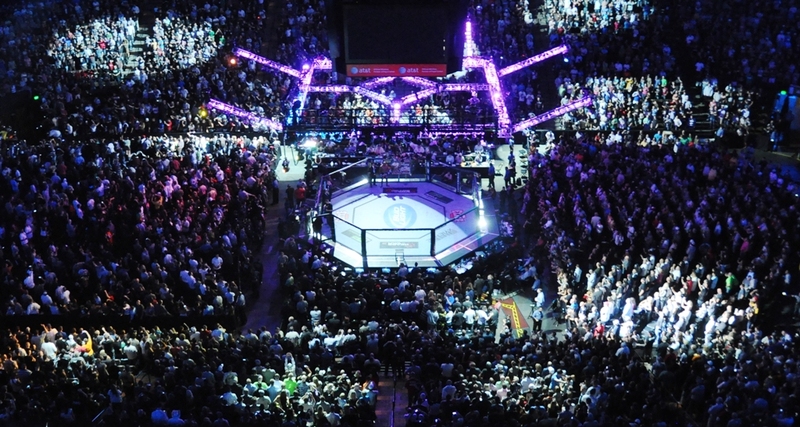 “Beating two 170-pound MMA fighters in a tournament hardly puts you in the top-10 rankings. Beating Wayne Barrett a year ago would’ve meant a lot more than beating him now. I think Barrett’s on a skid and it seems to me that mentally he’s a little broken. 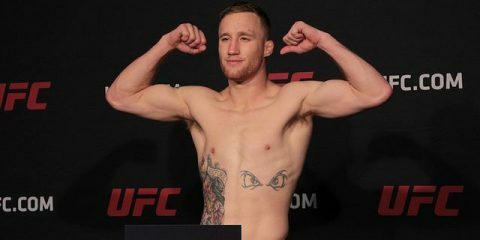 “I also think that being a hometown fighter at this altitude, there’s no question that it affected every single person tonight except for Dustin Jacoby. Hats off to him for beating a tough guy like Wayne Barrett. If he wants a fight with me, I think it’d be a bad choice for his career. I think that Simon Marcus is a better fight for me. 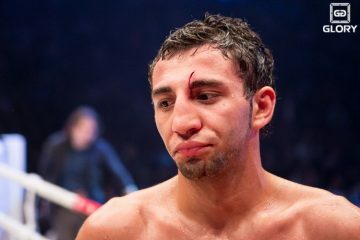 I think Artem Levin is a better fight for me. I think Filip Verlinden is a better fight for me. I think there’s a lot of world-class competition in kickboxing that I could face besides Dustin Jacoby. Ultimately, Schilling doesn’t care who’s next, as long as he’s getting paid to compete. While his next fight could easily be in the Bellator cage, the Californian is eyeing a spot on December’s GLORY 26 fight card in Amsterdam. “Right now, I’m not sure what’s next,” explained Schilling. 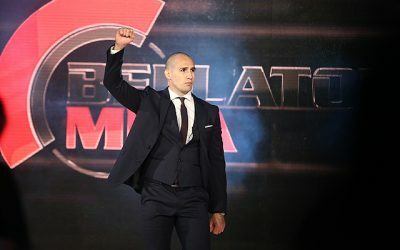 “I’m not sure when the next fight will be with Bellator. I would love to get back in the GLORY ring. 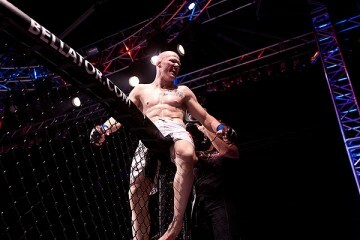 All my fights have been in the U.S., and I would love the opportunity to go to Holland and fight in Amsterdam. I think it would be a great experience for me.